Strongest lines of the first spectra of chemical elements. 1 Data in Table I are taken from Atomic Energy States by Bacher and Goudsmit (McGraw-Hill, New York, 1932) except where otherwise indicated by notes. Wave-lengths greater than 2000A are taken from M.I.T. 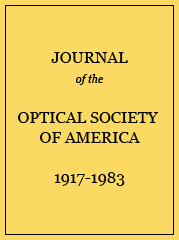 Wavelength Tables (John Wiley, New York, 1939); shorter than 2000A from Tabelle der Hauptlinien der Linienspektren aller Elemente (Kayser-Ritschl. Julius Springer, Berlin, 1939). 2 0.0 = ( p ) P 2 0 1 2. 4 0.0 = ( p ) P 2 0 1 2. 6 0.0 = ( d s 2 ) D 2 1 1 2. 8 0.0 = ( d 3 s 2 ) F 4 1 1 2. 10 0.0 = ( d 7 s 2 ) F 4 4 1 2. 12 0.0 = ( p ) P 2 0 1 2. 15 0.0 = ( d s 2 ) D 2 1 1 2. 17 0.0 = ( s ) D 6 0 1 2. 19 0.0 = ( p ) P 2 0 1 2. 20 0.0=(p2)3P0, cf. W. F. Meggers, J. Research Nat. Bur. Stand. 24, 153 (1940). In a tin arc 3175A may appear weaker than 3262A because of more self-reversal in the former. 22 0.0 = ( d s 2 ) D 2 1 1 2. 23 0.0=(f6s2)7F0. W. Albertson, Phys. Rev. 47, 370 (1935); 52, 644 (1937). 24 H. N. Russell and A. S. King, Astrophys. J. 90, 155 (1939). 25 0.0=(f7ds2)9D20. W. Albertson, Phys. Rev. 47, 370 (1935). 26 W. F. Meggers and B. F. Scribner, J. Research Nat. Bur. Stand. 19, 651 (1937). 27 W. F. Meggers, unpublished. 29 0.0 = ( d 3 s 2 ) F 4 1 1 2, C. C. Kiess and H. K. Kiess, Bur. Stand. J. Research 11, 277 (1933). 31 W. F. Meggers, Bur. Stand. J. Research 6, 1027 (1931). 32 W. Albertson, Phys. Rev. 45, 340 (1934). 33 W. Albertson, Phys. Rev. 54, 183 (1938). 34 A. T. Williams (Nature 124, 985 (1929)) maintains that 1849A is a theoretical raie ultime but not an experimental one, and that the true raies ultimes of Hg are, in all conditions, 2537 and 1942A. Theory and experiment (G. S. King and J. H. Van Vleck, Phys. Rev. 56, 464 (1939)) agree that the strengths of 1849 and 2537 of Hg are in the ratio 50 to 1. 35 0.0 = ( p ) P 2 0 1 2. 37 The excitation potential of ( p 2 s ) P 4 2 1 2 is 2.0 v higher than ( p 2 s ) P 4 0 1 2. 38 Intersystem combination? E. Rasmussen. Zeits. f. Physik 62, 494 (1930); 80, 726 (1933). 39 E. Rasmussen, Zeits. f. Physik 87, 607 (1934).